Courses are taught by industry veterans who have years of experience in the hospitality industry. 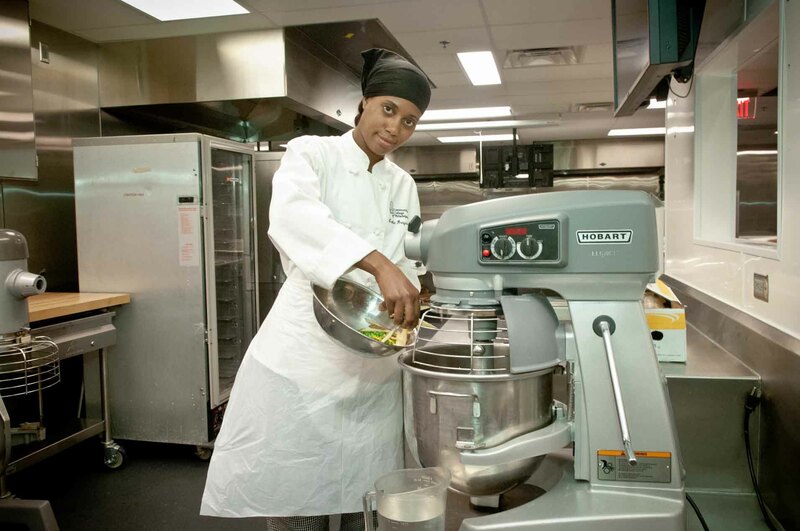 Get a start in the city's growing hospitality industry with our Culinary Arts Proficiency Certificate program. 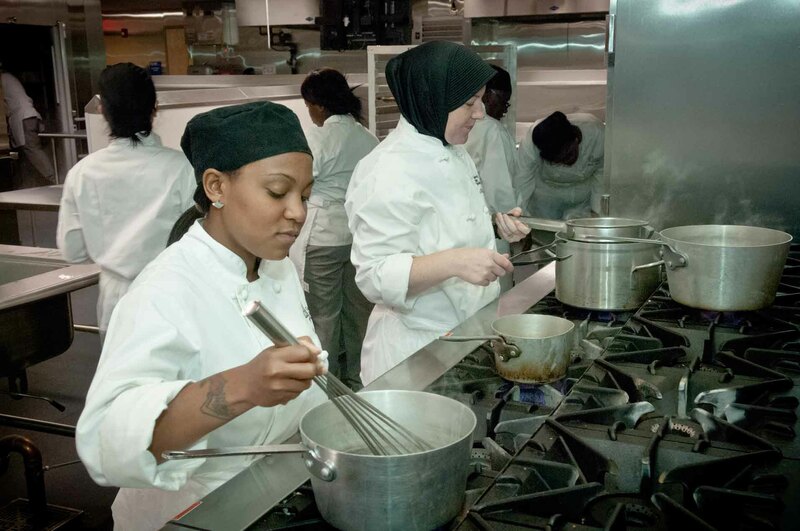 You'll learn about food preparation, baking, menu planning, food safety and other skills required for possible entry-level employment as a cook within the food industry. 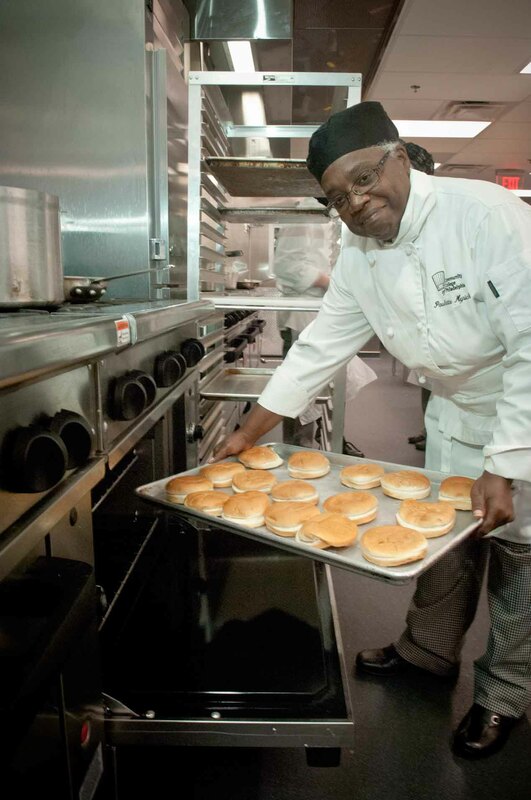 In addition, you will have access to experienced faculty who will provide hands-on learning in our state-of-the-art culinary kitchens and classrooms. Upon completion, the courses may be applied to the Culinary Arts Associate in Applied Science degree. The following courses and sequence of courses is designed for the optimal success and completion of the Culinary Arts II Proficiency Certificate degree/certificate. Any alterations should be discussed with your academic advisor. All general education requirements necessary for graduation are met through the courses in the program as indicated above. Students who wish to take courses that differ from the general education courses indicated above must complete a course substitution request form. To access the form, login to the MyCCP portal, and in the Student tab, under Electronic Forms, click on the Records and Registration Forms link, then choose Request For Course Substitution Of Graduation Requirement link. A more detailed explanation of the College’s general education requirements is also available. Prepare or serve specialty coffee or other beverages. Serve food such as baked goods or sandwiches to patrons. Receive and process customer payments. Prepare or serve hot or cold beverages, such as coffee, espresso drinks, blended coffees, or teas. Clean or sanitize work areas, utensils, or equipment. Take customer orders and convey them to other employees for preparation. New workers generally start around $17,189. Normal pay for Baristas is $19,039 per year, while highly experienced workers can earn as much as $26,129.